Shuttle-box avoidance learning is well-established in behavioral neuroscience. 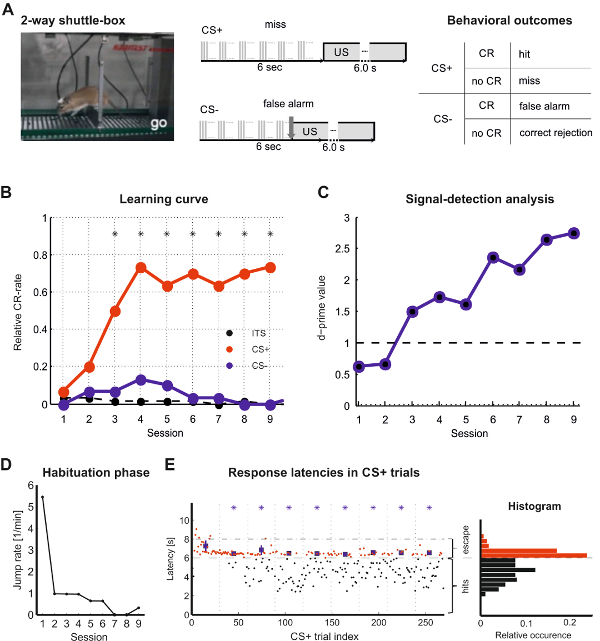 This protocol describes how shuttle-box learning in rodents can be combined with site-specific electrical intracortical microstimulation (ICMS) and simultaneous chronical in vivo recordings as a tool to study multiple aspects of learning and perception. Happel, M. F., Deliano, M., Ohl, F. W. Combined Shuttle-Box Training with Electrophysiological Cortex Recording and Stimulation as a Tool to Study Perception and Learning. J. Vis. Exp. (104), e53002, doi:10.3791/53002 (2015). Shuttle-box avoidance learning is a well-established method in behavioral neuroscience and experimental setups were traditionally custom-made; the necessary equipment is now available by several commercial companies. This protocol provides a detailed description of a two-way shuttle-box avoidance learning paradigm in rodents (here Mongolian gerbils; Meriones unguiculatus) in combination with site-specific electrical intracortical microstimulation (ICMS) and simultaneous chronical electrophysiological in vivo recordings. The detailed protocol is applicable to study multiple aspects of learning behavior and perception in different rodent species. Site-specific ICMS of auditory cortical circuits as conditioned stimuli here is used as a tool to test the perceptual relevance of specific afferent, efferent and intracortical connections. Distinct activation patterns can be evoked by using different stimulation electrode arrays for local, layer-dependent ICMS or distant ICMS sites. Utilizing behavioral signal detection analysis it can be determined which stimulation strategy is most effective for eliciting a behaviorally detectable and salient signal. Further, parallel multichannel-recordings using different electrode designs (surface electrodes, depth electrodes, etc.) allow for investigating neuronal observables over the time course of such learning processes. It will be discussed how changes of the behavioral design can increase the cognitive complexity (e.g. detection, discrimination, reversal learning). A fundamental aim of behavioral neuroscience is to establish specific links between neuronal structural and functional properties, learning, and perception. Neural activity associated with perception and learning can be studied by electrophysiological recording of action potentials and local field potentials in various brain structures at multiple sites. Whereas electrophysiological recordings provide correlative associations between neural activity and behavior, direct electrical intracortical microstimulation (ICMS) for over a century has been the most direct method for testing causal relationships of excited populations of neurons and their behavioral and perceptual effects1–3. Many studies have demonstrated that animals are able to make use of various spatial and temporal properties of electrical stimuli in perceptual tasks depending on the stimulation site within for instance retinotopic4, tonotopic5, or somatotopic6 regions in the cortex. 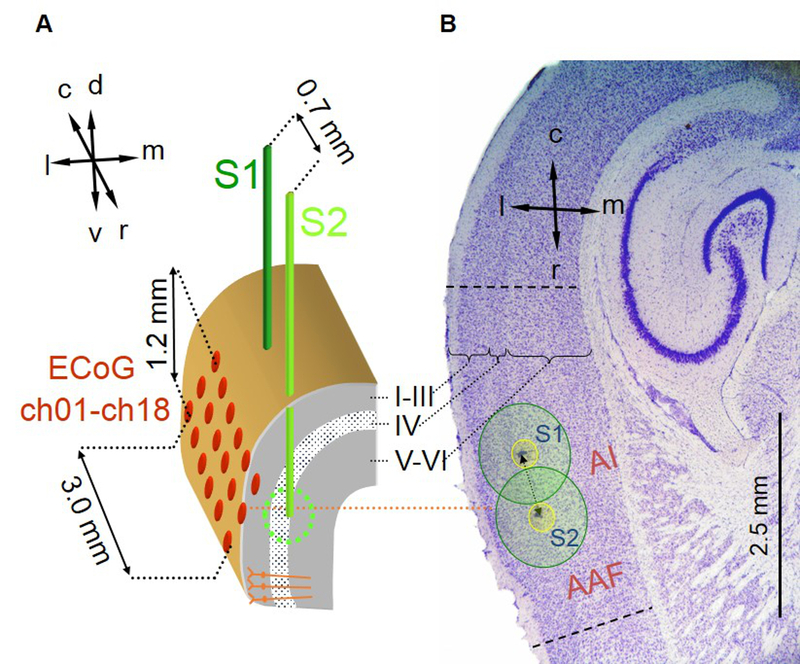 Propagation of electrically evoked activity in the cortex is mainly determined by the layout of axonal fibers and their distributed synaptic connectivity2 that, in cortex, is clearly layer-dependent7. The resultant polysynaptic activation evoked by ICMS is henceforth much more wide-spread than direct effects of the electrical field2,8,9. This explains why thresholds of perceptual effects elicited by intracortical microstimulation can be strongly layer-dependent8,10,11 and site-dependent9. A recent study demonstrated in detail that stimulation of upper layers yielded more wide-spread activation of corticocortical circuits in mainly supragranular layers, while stimulation of deeper layers of cortex result in a focal, recurrent corticoefferent intracolumnar activation. Parallel behavioral experiments revealed that the latter has much lower perceptual detection thresholds8. Therefore, the advantage of site-specific ICMS as conditioned stimuli was exploited in combination with electrophysiological recordings to causally relate specific cortical circuit activations8 to behavioral measures of learning and perception in the shuttle-box. The two-way shuttle-box paradigm is a well-established laboratory apparatus to study avoidance learning12. A shuttle-box consists of 2 compartments separated by a hurdle or doorway. A conditioned stimulus (CS) that is represented by a suitable signal like a light or sound, is contingently followed by an aversive unconditioned stimulus (US), as for instance a foot shock over a metal grid floor. Subjects can learn to avoid the US by shuttling from one shuttle-box compartment to the other in response to the CS. Shuttle-box learning involves a sequence of distinguishable learning phases13,14: First, subjects learn to predict the US from the CS by classical conditioning and to escape from the US by instrumental conditioning, as the US is terminated upon shuttling. In a next phase, subjects learn to avoid the US altogether by shuttling in response to the CS before US onset (avoidance reaction). Generally, shuttle-box learning involves classical conditioning, instrumental conditioning, as well as goal-directed behavior depending on learning phase14. The shuttle-box procedure can be set up easily and generally produces robust behavior after a few daily training sessions15–17. In addition to simple avoidance conditioning (detection), the shuttle-box can be further used to study stimulus discrimination by employing go/nogo paradigms. Here, animals are trained to avoid the US by a conditioned response (CR) (go behavior; shuttle into opposite compartment) in response to a go-stimulus (CS+) and by nogo behavior (stay in the current compartment; no CR) in response to a nogo-stimulus (CS-). 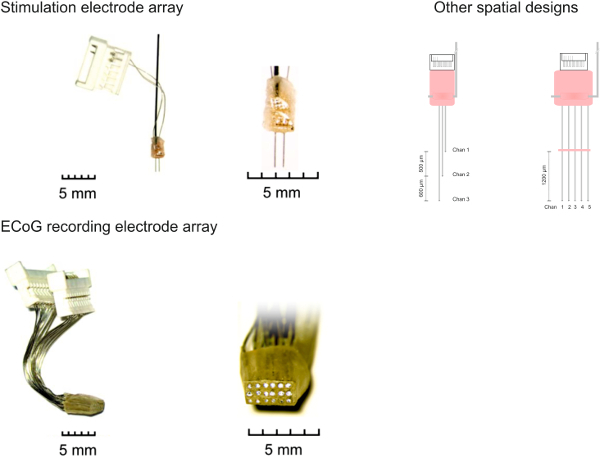 Parallel microstimulation and recording of neural activity with high-density multielectrode arrays allow to study the physiological mechanisms underlying successful learning. Several technical details that are fundamental for the successful combinations of shuttle-box training, ICMS and parallel electrophysiology, will be discussed. All experiments presented in this work were conducted in agreement with the ethical standards defined by the German law for the protection of experimental animals. Experiments were approved by the ethics committee of the state of Saxony-Anhalt. For delivering ICMS, prepare stimulation electrodes in the desired spatial design (here lateral array of 2 channels) using 3-cm long Teflon-insulated stainless steel wires (Ø with isolation = 50 µm). See Figure 2. Crimp one end of the wires to a male pin system (1.25 mm pitch). For a 2-channel array with ~0.5 mm or ~0.7 mm electrode distance pass wires perpendicularly through two vertically aligned electron microscopy object-holder grids (distance of grids ~5 mm) guiding the wires (0.1654 mm pitch). Glue wires together with a small drop of dental acrylic about 4 mm above the endings of the wires that finally serve as electrode tips. Put male pins into the plug housing. Put the electrode in a dish with electrolytic solution (e.g., 0.9% sodium chloride) and measure the impedance of each channel with a respective impedance measuring device (e.g., FHC Impedance Conditioning Module). Aim at impedances in the 100 to 500 kΩ range. If impedance is too high, deliver short electrical current (1 sec, 1 mA) through the channels to lower it. Check impedance again. Note: this protocol describes manufacturing of surface arrays for recording electrocorticogram (ECoG) data. However, designs can be tailored to meet the requirements of the respective research question (depth recordings, etc.). High resolution multichannel arrays are built by Teflon-insulated stainless steel wires (Ø with isolation = 50 µm) crimped to a male pin system (1.25 mm pitch). For surface electrode arrays, guide 18 wires through a 3 x 6 matrix of two prepared electron microscopy object-holder grids. Embed the 6 x 3 arrangement of the wires between the grids with dental acrylic and put pins in the plug housing. Grind the dental acrylic into a rectangular block by using grinder attached to a hand held drill. Check that impedance of all channels (see 1.1.6) is in the range between 100 – 500 kΩ. Before implantation (see step 2) grind surface of the arrays to match the convexity of the cortical surface. Hold the official approval to execute all necessary experimental steps that are planned. Wear appropriate protective clothing (coat, sterile gloves, surgical mask, hood). Use adult male Mongolian gerbils (Meriones unguiculatus) or any other rodent species. Wear protective gloves and coat and always use sterilized and well identified surgical tools. In case of gerbils, anaesthetize animals with an i.p. injection of a mixture of ketamine (100 mg/kg) and xylazine (5 mg/kg) diluted in 0.9% sterile sodium chloride solution. Maintain by infusion of 0.6 ml/hr/kg of a mixture composing of ketamine:xylazine:sodium chloride (0.9%) in the ratio of 9:1:10. Place animal on a heating plate for maintaining body temperature at 37 °C by a rectal probe feedback system (e.g., World Precision Instruments). Shave fur covering interoccipital, parietal, and temporal bones. Aseptically prepare the incision site with an effective disinfectant (e.g., alternating Betadine or Nolvasan and 70% alcohol scrubs 3 times). Protect eyes against drying by eye ointment. Cut the cranial skin covering the interoccipital, parietal, and frontal bones using a scalpel and remove periosteum by gently moving a drill over the bone surface. Drill small holes in the contralateral parietal and frontal bone as lateral as possible to not hinder the later head mount. Now screw two bone screws with a diameter of about 1 mm tightly into the holes. Ensure that the parietal screw has good contact to the dura, as it will be used as common reference and ground, as well as return electrode for electrical stimulation later on. Glue a small aluminum bar medially over the frontal bones and use it as head fixation during the implantation by a headholder. Remove skin covering the Musculus temporalis on one side using scissors. Cut off the dorsal part of the temporal muscle to obtain admission to the temporal bone. Expose auditory cortex by craniotomy (~3 mm x 4 mm) of the temporal bone by using a dental drill. Identify location of the auditory cortex based on the typical blood-brain-vessel signature18,19. Carefully make an incision of the dura with a micro scalpel at the location where the stimulation electrode is implanted in the brain. Gently move along the surface till the dura tears to prohibit damage to the underlying neuropil. Insert stimulation array under micromanipulator control. Choose a tangential insertion angle to allow the epidural array to be placed over the region of interest. Depending on insertion angle and position and the aimed site of stimulation, carefully consider the insertion depth. Place the epidural surface recording array with good contact to the brain surface covering the region of interest (here auditory cortex) by a second micromanipulator. Take care that the array matches the curvature of the cortex to not indent the dura. Fixate both electrode arrays and their plug housings with dental acrylic to the skull. Cover exposed cortical surface with an antiseptic lubricant (e.g., KY-Jelly) and close craniotomy with dental acrylic (e.g., Paladur, Heraeus Ulzer). Keep in mind that polymerization may produce heat. Use sufficient lubricant between neuropil and dental acrylic to prevent any contact of the dental acrylic and the cortical surface, as this might cause tissue damage. Now allow the animals to recover before the start of any further procedure. Recovery times might differ between species (e.g., gerbils: ≥3 days, mice: ≥7 days). Monitor carefully the status of the animal and give analgesic treatment in the following days if applicable (e.g., Meloxicam; 1 mg/kg postsurgical and 24 hr after the surgery). Place a shuttle-box (custom-build or any commercial product, e.g., E10–E15, Coulbourn Instruments) in an acoustically and electrically shielded chamber. The box contains two compartments separated by a hurdle. Consider the height of the hurdle as it influences the behavioral bias of go-responses. Use appropriate heights for specific species (e.g., ~2 cm for mice, ~3 cm for gerbils). To apply the foot-shock (US), use a grid floor with a distance between the bars appropriate for the species under investigation12,15. Always take care that nothing electrically shortcuts the individual bars (feces, hairs, electrode cream). After a considerable recovery time of the animal (see 2.17), connect the subject to the recording and stimulation cable preferably without using any short-term anesthesia. Try to cover the animal with a towel and gently take the animal in hands. Uncover the head and connectors of the animal with the other hand and connect the cables. Allow animals to habituate to the training chamber for 3 min before start of each session. Per training session (1 - 2 daily) apply between 30 - 90 trials. Use trial durations of up to 15 sec, and inter-trial intervals that vary randomly between 25 - 30 sec. For delivering ICMS for conditioned stimulation to the stimulation electrodes use a multichannel stimulator (e.g., MCS STG2000). To obtain behavioral effects without damaging the brain tissue, apply pulse trains (e.g., 300 ms length, 100 pps) of biphasic, charge-balanced pulses (cathodic first) with a 200 µs phase duration. Repeat trains with a pause of 700 ms for a duration of 4 sec (observation window). For presenting auditory CS use an analog output PCI board (e.g., NI PCI-6733). Program these devices with Matlab to flexibly control and hardware-trigger the shuttle-box system via the digital output lines. Route the analog output signal to the shuttle-box loudspeakers via an audio amplifier. Conditionally deliver the foot-shock US through a grid floor. For optimal electrophysiological recording quality, generate the shock by a second high-end multichannel stimulator (MCS STG2000). To apply detection training present only CS+ stimuli. Here, present blank trials without CS and US interspersed between the test trials (~10%) to correct for biased shuttle behavior (see 3.2). For a more demanding task, train animals to discriminate between CS+ and CS- stimuli presented in the same session in randomized order. Classify a compartment change after the CS+ onset within a critical time window of 4 sec (CR) as a hit response. In CS+ trials without CR in the critical time window (miss), immediately deliver a mild foot shock for 6 to 10 sec as unconditioned stimulus (US). Note: repetitive CS+ stimulation that overlaps with the US will reduce the learning effort for the animals and improve learning speed and performance ('delay' vs. 'trace' conditioning, see discussion). For CS- trials, classify a compartment change within the critical time window as false alarm response, and apply the US for up to 10 sec immediately after this inappropriate CR. Do not apply US after CS- when the animal stays in the compartment (no CR) during the critical time window, and classify this trial as correct rejection. Note: Importantly, the foot shock US is always turned off, when the animals changes compartment in response to it (escape). Use longer critical time windows for CS- trials, e.g., if repetitive conditioned stimulation are used, although this will impose a more conservative learning criterion as it affords higher effort by the animal to inhibit the CR. Individually adapt the shock strength in the first training session starting with mild amplitudes (~200 µA for gerbils). If foot shock strength it is too low, escape latencies jitter and association between CS and US is not optimal. Always pay attention if animals start to vocalize and to freeze in response to the CS. In this case footshock strength is too high. This conditioned fear response interferes with avoidance learning. Carefully determine the escape latencies. Increase foot shock strength step-by-step if escape latencies are longer than 2 sec after the first 20 trials. Check after every training if the animal is under shock control, i.e., it shows escape latencies considerably below 2 sec. Note: However, avoid to increase foot shock strength too quickly, as the behavioral strategy of a highly stressed animal can fall back to pure escape responses. Therefore closely observe the behavior and particularly the response latencies while adjusting the amplitude of the US. For an example see Figure 3E. If the animal shows the CR, stop presentation of the CS immediately. This is crucial for the reinforcement of the avoidance response. If animals have acquired an avoidance strategy, i.e., show appropriate CR to all CS, vary parameters (ICMS amplitude, phase duration, repetition rate etc.) to perform psychometric analyses. Apply parametric CS variation in a blockwise fashion with US pairing, which however will induce learning and adaptation. To avoid this, start with 15 to 30 trials of the original training, and then randomly intersperse the CS variations without US as test trials between the regular training trials with the original CS’s. Maximally use 25% of test trials. After the training remove the animal from the training chamber and carefully clean the complete box before training of the next animal. Try to avoid training different species at a time in the same box, as their natural smell might interfere with training performance. Record all compartment changes in the habituation phase. Record all compartment changes during the training and divide into hits and false alarms, escape responses (misses and back shuttles after a false alarm) and spontaneous intertrial shuttles (ITS). Calculate CR rates for CS+ and CS- as follows: hit rates = hits / number of CS+ trials; false alarm rates = false alarms / number of CS- trials. Obtain CR rates session-wise. However, to assess the learning dynamics at a higher temporal resolution, calculate CR rates from shorter blocks of the same number of CS+ and CS- trials (e.g., n = 10), respectively. Plot CR rates as a function of session or trial block for evaluating the training progress and learning dynamics. For quantification of the behavioral sensitivity independent of experimental conditions biasing the response of the animal, derive d’ values based on signal detection theory8,9,17. For d’ analysis use Z-scores of corresponding hit and false-alarm rates (discrimination learning) or hit rates and ITS (detection learning) derived from the inverses of a standardized normal distribution function and subtract these z-scores. Set a threshold criterion for stimulus detection of d’ = 1.0, which corresponds to a signal strength of one standard deviation above noise. See Figure 3 as example. Additionally determine CR- and escape reaction times in response to different CS by measuring the time period between CS onset and behavioral response (complete compartment change). Obtain a more detailed behavioral analysis from videotaping the shuttle-box behavior. Achieve temporal synchronization between video and recording systems by recording trigger pulses from the shuttle-box or stimulation system on the audio trace of the video. Video analysis allows to asses attention and orienting responses of the animal preceding the CR. During training, record electrophysiological signals (e.g., with the described ECoG-arrays) from multiple electrodes monopolarly against the common reference/ground electrode. Feed signals from all electrodes into a headstage amplifier either plugged directly or via a short adaptor into the head connectors. Connect the headstage to the main amplifier via a harness of thin, flexible cables wrapped by a metal mesh to protect it from damage by biting animals. Note: Mechanical stress in the cable harness can be relieved by a spring further permitting free movement and rotation of the animal in the box. Ideal is the usage of a turnable and motorized swivel. However, for auditory experiments place the swivel outside the soundproof chamber or sound shield it with foam to reduce the high frequency auditory noise produced by its motor. Use a preamplifier in the shielded box to increase signal-to-noise ratio and band-pass filter the signal in the desired frequency range. Sample data at more than 1 kHz sampling frequency (for local field potential recordings) and at least 40 kHz (for action potential recordings) and store to the PC for offline analysis. Use suitable filter settings for both types (e.g. 2 - 300 Hz for local field potential; 300 - 4,000 Hz for action potentials). Carefully check quality of the recording before the start of training (no noise or movement artifacts). Apply an online FFT-filter to the signal to determine the amplitude of 50 Hz noise. If necessary double-check all connections between the head connector, the adaptors, the headstages, the cable harness, and the amplifiers. For reduction of artifacts in the recorded data evoked by electrical stimulation use an interpolation procedure to reconstruct all data points affected by the artifact 1 ms before till ~5 ms after the onset of each pulse. For this, insert zeros between the unaffected data points, and apply a symmetric FIR-filter that minimizes the mean-square errors between the interpolated points and their ideal values (Matlab’s interp.m function). Apply this procedure to the raw signal, separately at each channel before further analysis9. In general, ensure that animals feel comfortable in the box surrounding. Allow the animal to move freely and reach all corners of the box. Sufficient time to habituate a day before the first training (20 min) and before each session (3 min) is beneficial. After any surgical treatment, allow the animal sufficient time to recover including medication if necessary (see above 2.17) and start to train the animal only, if animals do not show any typical signs of suffer or pain (closed eyes, lethargic phenotype, scruffy fur20). Ensure proper electrical grounding of the grid floor. Ground loops between recording system, shuttle-box and the animal must be avoided. Ground the animal only via its common ground electrode, leaving the gridfloor at a floating voltage. Connect the multichannel stimulator (MCS STG2000) to the head connector of the implanted stimulation electrode array via separate lines of the motorized swivel. Use the common ground electrode of recording as the ground or return electrode for the ICMS, as well. Following the complete training set, control for the stable position of the stimulation electrode array by histological analysis. Anaesthetize animals with an i.p. injection of a mixture of ketamine (100 mg/kg) and xylazine (5 mg/kg) diluted in 0.9 % sterile sodium-chloride. Then apply monopolar cathodic current (30 µA for 60 sec) delivered through all stimulation channels to obtain iron deposit in the tissue at the position of implantation8. Following this procedure, sacrifice the animal by an appropriate and approved method of euthanasia (e.g. intraperitoneal injection of an overdose of pentobarbital; 100 mg/kg). Remove the brain of the animal immediately and freeze it in 2-methylbutane cooled to -70 °C in liquid nitrogen. Now cut the region of interest on a cryostat microtome into 50 µm horizontal sections. For identification of cortical layers treat every second slice with Nissl-staining. First, bathe slices 5 min in 0.05 M sodium acetate trihydrate buffer (pH 4.0 -4.2). Bathe slices for 5 - 10 min in 5% cresyl violet acetate. Rinse slices with distilled water. Bathe slices for 2 min consecutively in 0.05 M sodium acetate trihydrate buffer (pH 4.0 - 4.2), and in solutions of 50%, 70% and 90% of ethanol, respectively. Bathe slices twice in isopropanol : 96% ethanol (2:1) for 5 min each. Finally, bathe slices in Roticlear three times for 5 min. Obtain location of the stimulation channels by “Prussian Blue”-staining of every other slice that makes the iron deposition evoked by long monophasic currents after the experiments visible. Prepare a fresh solution of 1% potassium hexacyanoferrat(II) trihydrate K4[Fe(CN)6] by mixing 2 g of K4[Fe(CN)6] in 200 ml of 1% HCl. Add 800 ml of 0.1 M phosphate buffer (pH 7.4). Bathe brain slices for 10 min with distilled water, and then for 10 min in the hexacyanoferrat solution. Bathe slices twice for 10 min in 0.1 M phosphate buffer and finally for 5 min in distilled water. This section illustrates a representative example of shuttle-box learning in a Mongolian gerbil. The subject was trained to discriminate the ICMS site between two stimulation electrodes implanted 700 µm apart from each other in auditory cortex (Figures 1 and 2). Stimulation arrays can be customized in different spatial designs (Figure 1). Here, discrimination of the two ICMS sites was learned within 3 training sessions with presentation of 30 CS+ and CS- each (Figure 3A-C). This is indicated by a stable significant difference of the CR rates of hit and false alarm responses throughout 7 consecutive training sessions (Figure 3B). Correspondingly, d’ is >1 in these sessions (Figure 3C). Quick escape latencies towards the US are fundamental, as they reflect an effective aversive unconditioned response. This can be guaranteed by adapting foot shock strength from 200 µA in 50 µA steps till escape latencies are short (see Figure 3E). 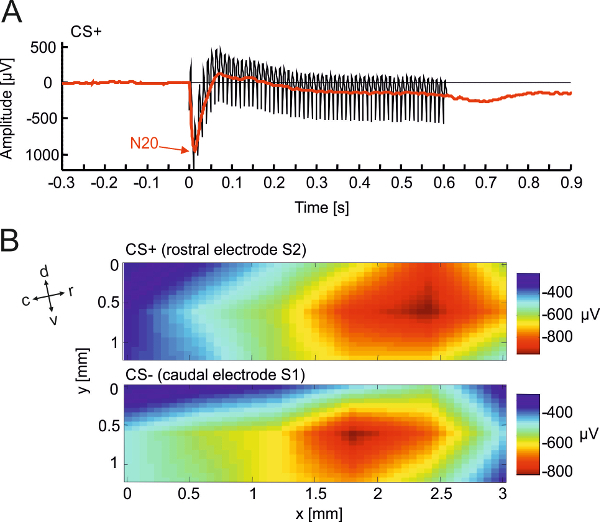 In parallel, electrophysiological recordings from an ECoG-array allow to assess the site-specific spatiotemporal activation patterns evoked by intracortical electrical CS+ or CS- at stimulation sites separated by ~700 µm (Figure 4). Figure 1. Electrode array designs. (A) Depth array (2 x 1) for intracortical microstimulation at two different sites in cortex. Electrodes are arranged at an interelectrode distance of ~ 700 µm. 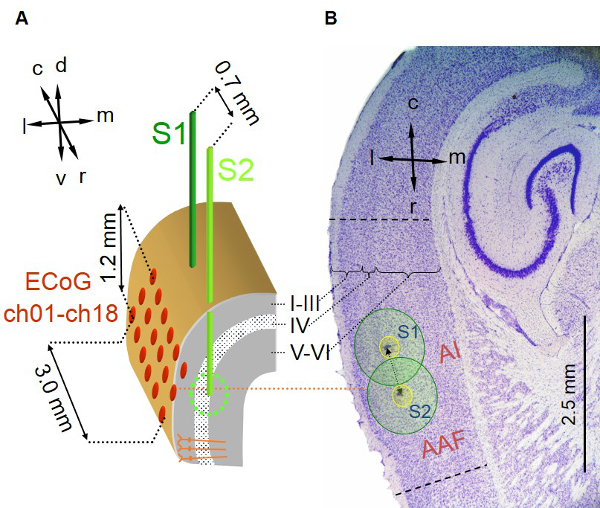 Other spatial designs can allow for layer-dependent local ICMS in different cortical depths or lateral arrays with stimulation sites along a specific axis of cortical tissue, as for instance the tonotopic gradient of auditory cortex8. (B) Epidural surface array (3 x 6) for the recording of the electrocorticogram at high spatial resolution. Electrodes were made from stainless steel wire (Ø 256 µm) arranged in a 3x6 matrix with an interelectrode distance of ~ 600 µm. Please click here to view a larger version of this figure. Figure 2. Positioning of implanted stimulation and recording electrodes. (A) A pair of two stimulation electrodes (see Figure 1A) S1 (dark green) and S2 (light green) are implanted into the depth of the right primary auditory field AI close to its input layer IV. 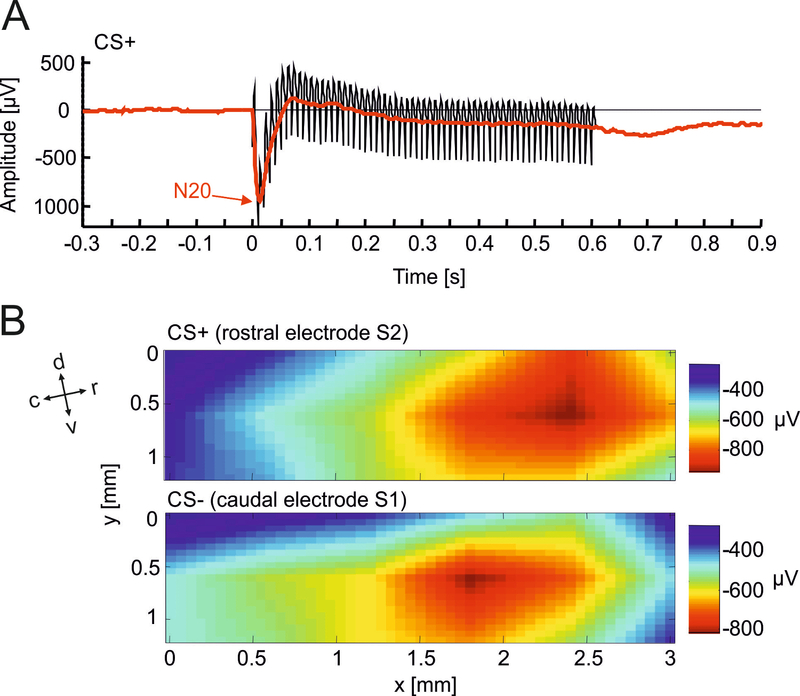 Electrode tips can be positioned along the rostrocaudal axis (caudal electrode S1, rostral electrode S2) with an interelectrode distance of ~ 700 µm. The 3 x 6 ECoG recording array (600 µm interelectrode distance) is centered epidurally over the right AI. (B) Nissl-stained horizontal section of respective brain region after experimental procedure shows two small lesions (arrows), which were caused by the tips of the two implanted stimulation electrodes indicating their location within temporal cortex. The position can be further evaluated by “Prussian Blue” staining. This figure has been modified from Deliano et al., 2009. Please click here to view a larger version of this figure. Figure 3. Shuttle-box training data and analysis of one individual animal. (A) Schemata on the right describe task design for CS+ and CS- trials in a two-way shuttle-box discrimination task and behavioral outcomes. (B) Learning curves plotted as hit and false-alarm rates of individual training sessions. Significant differences between hit and false alarm rates are marked by asterisks (Games-Howell test, p<0.05). (C) Sensitivity index d’>1 (see 3.2.7) can be used as threshold criterion for successful discrimination. (D) Monitoring of the spontaneous crossings during the habituation phase generally show a decrease over sessions. (E) Response latencies during CS+ trials are plotted for individual trials over all training sessions. All responses with latencies below 6 sec correspond to successful hit responses. Note the longer escape latencies in the first half of the first session. After increasing the foot shock strength escape latencies decreased below 2 sec after US onset indicating sufficient shock control. Histograms (right inset) of response latencies are bimodal corresponding to hit responses ( < 6 sec) and escape responses (6 - 8 sec). Please click here to view a larger version of this figure. Figure 4. Parallel electrophysiological recording in a learning animal. (A) Typical example of an electrically evoked potential (EEP) from a single animal averaged across CS+ trials in a single session of training. Data was recorded from an EcoG-array. The figure compares the EEP trace before (black) and after (red) removal of single pulse stimulus artifacts. Details of artifact reduction see section 4.1.7. The early prominent negative peak can be seen at a latency of 20 ms (N20). (B) Further analysis of the spatial distributions of the N20 amplitude in response to a CS+ at the rostral stimulation electrode (top) and to a CS- at the caudal stimulation electrode (bottom) reveal the spatial resolution of evoked states throughout auditory cortex. Anatomical directions relative to the recording array are indicated by arrows (d, dorsal; c, caudal; l, lateral; m, medial; r, rostral; v, ventral). This figure has been modified from Deliano et al., 2009. Please click here to view a larger version of this figure. This protocol describes a method of simultaneous site-specific ICMS and multi-channel electrophysiological recordings in a learning animal by using a two-way aversive foot-shock controlled shuttle-box system. The protocol emphasizes technical key concepts for such combination and points out the importance of grounding the animal only via its common ground electrode, leaving the gridfloor at a floating voltage. Here, auditory shuttle-box learning was applied to Mongolian gerbils as learning-related plastic reorganizations of the auditory cortex in these animals have been studied extensively8,12,14,15,21,22. Nevertheless, the described protocol can be adapted with minor changes to other rodent species, as for instance mice16. In this respect it is important to consider species-specific adaptations concerning recovery time after the surgery (2.17), height of the hurdle (2.1.1), and foot-shock sensitivity of individual animals, which can be highly variable (3.1.3-3.1.6). The protocol further gives detailed explanations on how custom-made electrode designs can be used to stimulate different sites in cortical tissue leading to distinct network activations as derived from the analysis of concurrent electrophysiological multielectrode recordings8,23. Depending on distance of electrodes one can stimulate different regions of for instance topographical maps9. By applying layer-dependent ICMS it is possible to differentially activate long-range corticocortical projections leading to more wide-spread activation of cortex by stimulation in cortical input layers III-IV. Instead, stimulation in corticoefferent output layers V-VI led to a much more focal activation of intracortical and corticothalamic feedback circuits8. When using stimulation arrays with two or more stimulation electrodes, bipolar ICMS can be applied instead of monopolar ICMS. A bipolar stimulation mode more effectively recruits neuronal fibers running parallel to the electrode tips, preferably in the direction of the cathodic pole compared with nonparallel fibers24. Such a stimulation configuration hence increases the directional specificity of the evoked neuronal network activations8. These particular direct manipulations of cortical sublaminar network activities using ICMS8,9, have so far not been shown by any other technique3. As an example of the power of this method, a recent report unraveled the contribution of cortico-thalamocortical feedback circuits to perception using detection learning of intracortical electrical stimuli8. This demonstrates that direct cortical microstimulation is an effective and state-of-the-art method to causally link activity in specified neuronal circuits and behavior1,3,11,25. By local electrical stimulation of cortical regions corresponding to specific topographic map features, as for instance a tonotopic region in the auditory cortex, subjects can be trained in transfer learning paradigms to compare properties of percepts elicited by central electrical or peripheral sensory stimulation. Such experiments might stimulate the development of stimulation strategies for sensory cortical neuroprostheses5,9. This protocol can also be employed in the electrical stimulation of other brain areas, as for instance the ventral tegmental area, to study reward processing and the neuronal underpinnings of deep brain stimulation26. 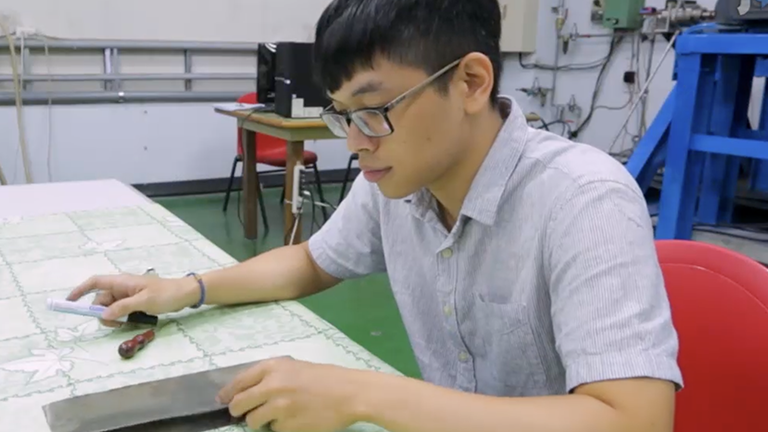 Critical for effective microstimulation are several technical details that must be considered on the background of the individual setup and electrodes used. In general, influence of stimulation parameters, like stimulation amplitude, polarity, electrode orientation, etc., have been reviewed11,24. Of importance is the charge transfer by the electrode. The impedance of an electrode hence is a critical factor. Hence, check that the impedance of the electrode contacts is in the kΩ range before implantation. Several additional phenomena of learning can be studied by appropriate variation of the described basic design. For instance, discrimination learning in contrast to simple detection learning can be investigated by introducing at least two stimuli that have to be associated with go and nogo responses, respectively14,15. Similarly category formation learning can be studied by combining such discrimination paradigms12,21. Shuttle-box paradigms also can be employed to investigate working memory, behavioral inhibition and cognitive flexibility as for instance necessary for successful reversal learning14,17 or set shifting. Working memory can be assessed by comparing 'delay' and 'trace' conditioning. In 'delay' conditioning27, the CS is presented throughout the critical CS-US time window without delay between CS offset and US onset. In 'trace' conditioning, on the other hand, there is a delay of several seconds after the offset of transient CS presentation. In contrast to 'delay' conditioning 'trace' conditioning puts a high load on working memory and cortical processing. Combining discriminative shuttle-box learning paradigms with the analysis of spatiotemporal patterns in the ongoing electrocorticogram, is a suitable method to identify dynamical states of auditory cortex related to the stimulus discrimination9, and category formation21. However, as shuttle-box training is classically used as two-way avoidance task, the general conceptual problems with avoidance learning do apply for all of these behavioral designs; namely that successful avoidance behavior explicitly prevents the occurrence of the stimulus that serves as the reinforcer. Appetitive reinforcement, for instance by direct electrical stimulation of midbrain reward circuits, has only been applied to shuttle-box learning in some studies26. Also, shuttle-box learning has mainly been used with rodent species and has been rarely applied in larger laboratory animals, as for instance dogs. Besides with electrophysiological analysis, shuttle-box learning can be further combined with pharmacological intervention8,17, lesion techniques15, microdialysis28, or optogenetics. Especially the combination of our protocol with optogenetic tools, either by viral infection of the model system (i.e., Mongolian gerbils), or by genetically modified animals, as mice, would allow to increase in particular the cellular subtype specificity of artificial neuronal activation including cortical inhibition, which is not accessible using ICMS3. The work was supported by grants from the Deustche Forschungsgemeinschaft DFG and the Leibniz-Institute for Neurobiology. We thank Maria-Marina Zempeltzi and Kathrin Ohl for technical assistance. 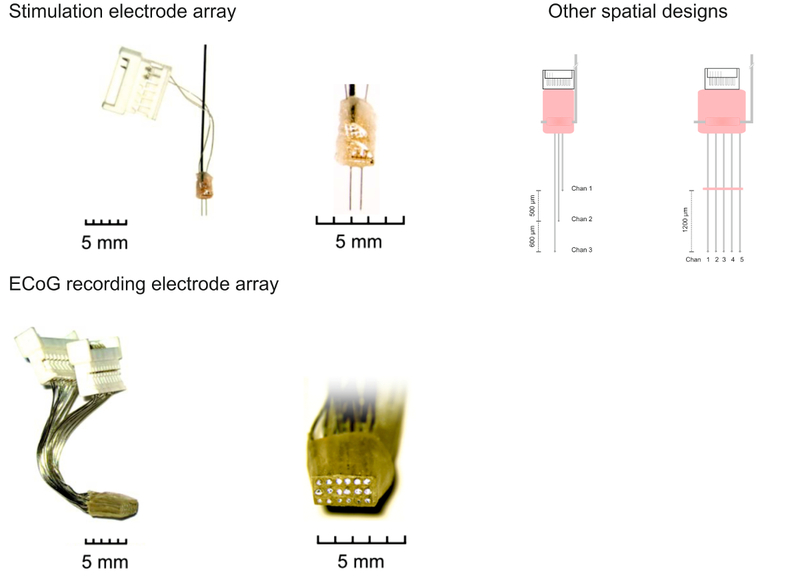 Lab StandardTM Stereotaxic Instruments Stoelting Co.
Cohen, M. R., Newsome, W. T. What electrical microstimulation has revealed about the neural basis of cognition. Current Opinion in Neurobiology. 14, (2), 169-177 (2004). Histed, M. H., Bonin, V., Reid, R. C. Direct activation of sparse, distributed populations of cortical neurons by electrical microstimulation. Neuron. 63, (4), 508-522 (2009). Histed, M. H., Ni, A. M., Maunsell, J. H. R. Insights into cortical mechanisms of behavior from microstimulation experiments. Progress in Neurobiology. 103, 115-130 (2013). Bradley, D. C., et al. Visuotopic mapping through a multichannel stimulating implant in primate V1. Journal of Neurophysiology. 93, 1659-1670 (2005). Scheich, H., Breindl, A. An Animal Model of Auditory Cortex Prostheses. Audiology and Neurootology. 7, (3), 191-194 (2002). Romo, R., Hernández, A., Zainos, A., Salinas, E. Somatosensory discrimination based on cortical microstimulation. Nature. 392, 387-390 (1998). Douglas, R. J., Martin, K. A. C. Recurrent neuronal circuits in the neocortex. Current Biology. 17, (13), 496-500 (2004). Happel, M. F. K., Deliano, M., Handschuh, J., Ohl, F. W. Dopamine-modulated recurrent corticoefferent feedback in primary sensory cortex promotes detection of behaviorally relevant stimuli. The Journal of Neuroscience. 34, (4), 1234-1247 (2014). Deliano, M., Scheich, H., Ohl, F. W. Auditory cortical activity after intracortical microstimulation and its role for sensory processing and learning. The Journal of Neuroscience. 29, (50), 15898-15909 (2009). DeYoe, E. A., Lewine, J. D., Doty, R. W. Laminar variation in threshold for detection of electrical excitation of striate cortex by macaques. Journal of Neurophysiology. 94, (5), 3443-3450 (2005). Tehovnik, E. J., Slocum, W. M., Schiller, P. H. Delaying visually guided saccades by microstimulation of macaque V1: spatial properties of delay fields. The European Journal of Neuroscience. 22, (10), 2635-2643 (2005). Wetzel, W., Wagner, T., Ohl, F. W., Scheich, H. Categorical discrimination of direction in frequency-modulated tones by Mongolian gerbils. Behavioural Brain Research. 91, 29-39 (1998). Cain, C. K., LeDoux, J. E. Escape from fear: a detailed behavioral analysis of two atypical responses reinforced by CS termination. Journal of Experimental Psychology. Animal behavior processes. 33, 451-463 (2007). Stark, H., Rothe, T., Deliano, M., Scheich, H. Dynamics of cortical theta activity correlates with stages of auditory avoidance strategy formation in a shuttle-box. Neuroscience. 151, 467-475 (2008). Ohl, F. W., Wetzel, W., Wagner, T., Rech, A., Scheich, H. Bilateral ablation of auditory cortex in Mongolian gerbil affects discrimination of frequency modulated tones but not of pure tones. Learning & Memory. 6, (4), 347-362 (1999). Kurt, S., Ehret, G. Auditory discrimination learning and knowledge transfer in mice depends on task difficulty. Proceedings of the National Academy of Sciences of the United States of America. 107, (18), 8481-8485 (2010). Happel, M. F. K., et al. Enhanced cognitive flexibility in reversal learning induced by removal of the extracellular matrix in auditory cortex. Proceedings of the National Academy of Sciences of the United States of America. 111, (7), 2800-2805 (2014). Thomas, H., Tillein, J., Heil, P., Scheich, H. Functional organization of auditory cortex in the mongolian gerbil (Meriones unguiculatus). I. Electrophysiological mapping of frequency representation and distinction of fields. The European journal of neuroscience. 5, 882-897 (1993). Budinger, E., Heil, P., Scheich, H. Functional organization of auditory cortex in the Mongolian gerbil (Meriones unguiculatus). III. Anatomical subdivisions and corticocortical connections. European Journal of Neuroscience. 12, 2425-2451 (2000). Langford, D. J., et al. Coding of facial expressions of pain in the laboratory mouse. Nature Methods. 7, (6), 447-449 (2010). Ohl, F. W., Scheich, H., Freeman, W. J. Change in pattern of ongoing cortical activity with auditory category learning. Nature. 412, (6848), 733-736 (2001). Scheich, H., et al. Behavioral semantics of learning and crossmodal processing in auditory cortex: the semantic processor concept. Hearing Research. 271, (1-2), 3-15 (2011). Happel, M. F. K., Jeschke, M., Ohl, F. W. Spectral integration in primary auditory cortex attributable to temporally precise convergence of thalamocortical and intracortical input. The Journal of Neuroscience. 30, (33), 11114-11127 (2010). Ranck, J. B. Which elements are excited in electrical stimulation of mammalian central nervous system: a review. Brain Research. 98, 417-440 (1975). Clark, K. L., Armstrong, K. M., Moore, T. Probing neural circuitry and function with electrical microstimulation. Proceedings. Biological sciences / The Royal Society. 278, (1709), 1121-1130 (2011). Ilango, A., Shumake, J., Wetzel, W., Scheich, H., Ohl, F. W. Electrical stimulation of lateral habenula during learning: frequency-dependent effects on acquisition but not retrieval of a two-way active avoidance response. PloS one. 8, (6), e65684 (2013). Weible, A. P., McEchron, M. D., Disterhoft, J. F. Cortical involvement in acquisition and extinction of trace eyeblink conditioning. Behavioral Neuroscience. 114, 1058-1067 (2000). Rothe, T., Deliano, M., Scheich, H., Stark, H. Segregation of task-relevant conditioned stimuli from background stimuli by associative learning. Brain Research. 1297, 143-159 (2009).